Did I break the game with Zada, Hedron Grinder and Incremental Growth? 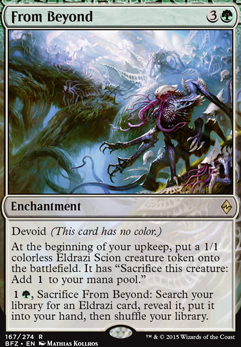 At the beginning of your upkeep, put a 1/1 colourless Eldrazi Scion creature token onto the battlefield. 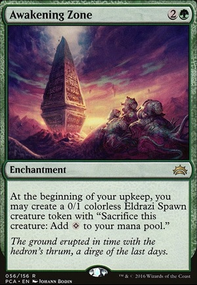 It has "Sacrifice this creature: Add to your mana pool." Combos look great! The challenge is going to be staying alive long enough and not showing your hand until it is too late for them to do anything about it. I always found that people I play with hate seeing Authority of the Consuls and Blind Obedience . Those cards always draws a lot of attention and you get attacked a lot after it hits. How have they been for your deck? Do they slow everything down enough to stabilize, or do you tend to play them later in the game? 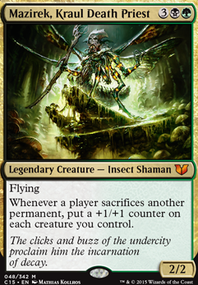 In a deck with so few creatures do you get to use the enchant creatures much? The Bear Umbra and Flickering Ward seem to not have a lot of good homes. 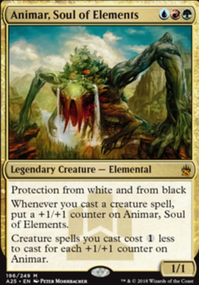 Love the Imprisoned in the Moon and the Darksteel Mutation , might I suggest Lignify , Deep Freeze and, as multimedia mentioned, Song of the Dryads as other options to make commanders useless. You seem to want to ramp to Primal Surge as your win con and you want to buy time to get there was try out Awakening Zone as a way to make mana that happens to chump block. 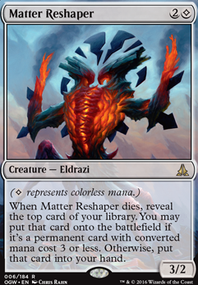 From Beyond also works, but people get suspicious when they see the words search and Eldrazi on the same card. Another great card to help you get to your surge is Kruphix, God of Horizons just keep floating that mana until you get enough. With the blink effects you have I always thought Aid from the Cowl was fun. If you need something to blink look into Attunement . 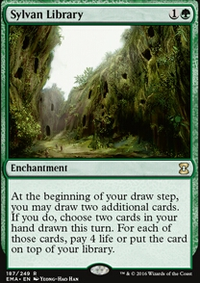 With the extra card drawn from playing enchantments this is a great way to dig for that surge. Copy Enchantment because I'm sure you want more of something. If your plan is to win with combo, make sure you protect it. If it gets milled, or countered, you will need an Eternal Witness style card. 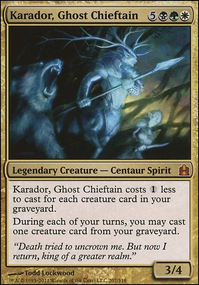 Other options that are a bit more budget friendly are Den Protector , Greenwarden of Murasa and Skullwinder . I don't see a lot of tutors for your combo, so if you are having trouble getting them online you may want to try Planar Bridge , Planar Portal and Tamiyo's Journal are all ways to find the combos you are trying to assemble.